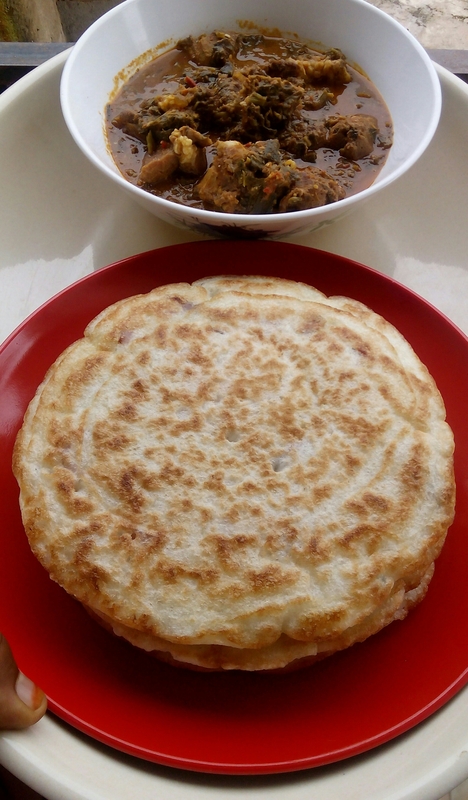 A yummy recipe from the northern part of Nigeria, it’s similar to masa but has different methods of preparation and frying. -soak 3 cups of white rice in water over night. -in the morning take the soaked rice and grind to a smooth, perfect running paste. -now mix the cooked rice and grinded rice paste in a blender and blend for 5mins. -pour the paste into a container add small water so that the paste will be runny. -add yeast stir close and allow to rise. -allow to rise for 6 hours. -after 6 hours add chopped onion, salt, sugar, and baking powder stir very well. -heat a non sticky pan add half spoon vegetable oil, scoop the batter using a kitchen spoon, cover and fry on low heat. -when it turns golden brown flip to the other side and fry till golden brown (please do this on low heat). -remove and place in a dry plate and repeat this procedure untill the batter is finished. 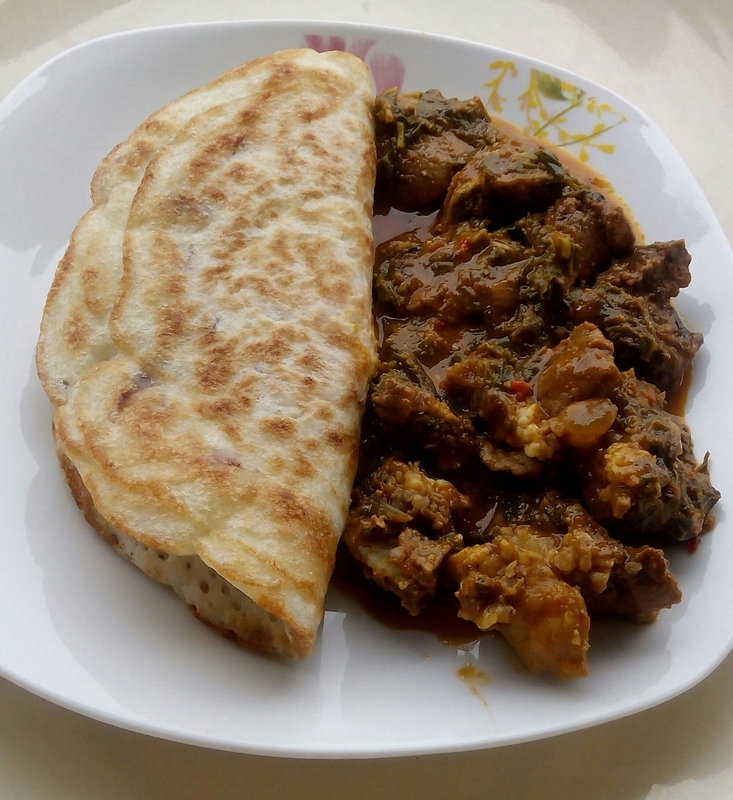 Blend tomato with onions atarodo. Cut/chop spinach, spring onions and onions, wash and drain (the quantity should be 3 hands full). Cook the tomato paste till the water dries up completely (the quantity should be equivalent to a 1 cup when cooked). Cook meat with onions and salt set aside. In a dry pot pour tomato paste, 1 spoon palm oil, half cup vegetable oil and fry for 10 mins. After 10 mins add raw ground kitchen groundnuts and cook for 10mins. After 5mins add vegetables and cook for 5mins. Add meat and meat stock. Nice one. I will try it out.